The New York State Integrated Pest Management Program posthumously awarded its Excellence in IPM award to Bob Portmess. 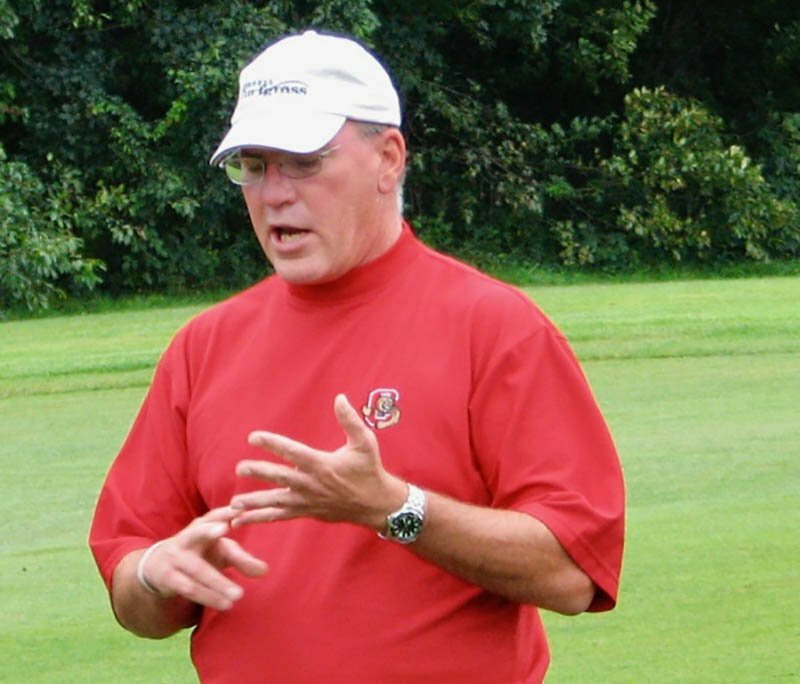 Portmess, who died in 2016 at age 60, had been an extension specialist at Cornell since 2009 and dedicated his career to helping golf course superintendents maximize playing conditions while minimizing chemical inputs. 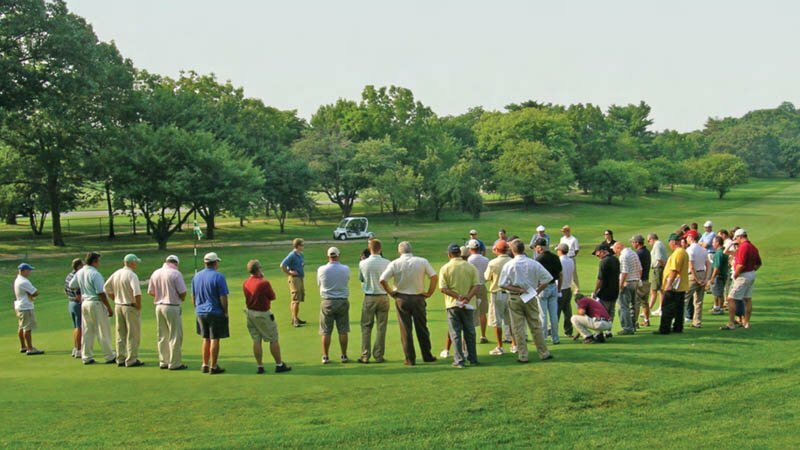 His guide to developing IPM programs has become a standard for golf courses throughout New York and beyond. The award, which is presented by the New York State Integrated Pest Management Program to those responsible for advancements in IPM program, was announced last month. "It is easy to measure Bob's impact on the adoption of Progressive IPM programs among the NY State Park golf courses. He worked tirelessly for years assessing pest management programs, adjusting nutrient management programs, raising awareness of point source pollution issues associated with mixing and loading, rinsing and washing stations," Cornell turfgrass professor Frank S. Rossi, Ph.D., wrote in a letter nominating Portmess for the award. "But by far the greatest impact, almost impossible to measure, is the individual attention he paid to the golf course superintendents. He would visit the courses regularly, review practices, inventory and prioritize equipment needs, and then day after day, answer those same superintendent's phone calls. Walking them through some of the progressive practices we established for adoption. Listening to their concerns and helping them set realistic goals that aided with adoption of some of the most progressive IPM practices used in the industry to this day." A mechanical engineer and telecommunications executive prior to joining Cornell, Portmess approached Rossi about a career change in 2006, expressing a desire to help superintendents. Two years later, he received a master's degree in professional studies in agriculture and life sciences specializing in turfgrass management. He worked with Rossi and Cornell senior extension associate Jennifer Grant, Ph.D., in developing an Integrated Pest Management Handbook of best practices for sustainable turf. The publication, which also is available in Spanish, has served as a guide to low-input management of New York's 29 state park golf courses and golf courses around the country. A graduate of Syracuse University where he earned a bachelor's degree in industrial engineering, Portmess worked at Alcoa before a career in sales with Cox Communications. "Little did I know that a short meeting with this 'mature' prospective student interested in working with golf course superintendents would turn out to be one of the most important partnerships of my entire career," Rossi wrote. "For that I owe Bob more than simply a nomination for an award he is more than worthy of, but rather my own continued commitment to the work that he started. Nominating Bob for this award allows me to do both."